Rehoboth Real Estate In Town Guide at the beach! Rehoboth Real Estate In Town includes North Rehoboth and South Rehoboth. Rehoboth Avenue is the dividing line between North and South Considered walking distance to the beach , East of the canal is the western border and the Atlantic Ocean on the East. We break down Rehoboth Real Estate In Town into major MLS categories such as single family homes, condos/townhomes , lots and land, ocean front, and commercial. We also include Henlopen acres,North Shores, and other areas east of Route1 and and the canal ,all considered walking distance to the Beach!! Get your home Featured Here and Sell your home as little as 3%.!! Click Here and See ! 0 – $500k. 0 – $500k. 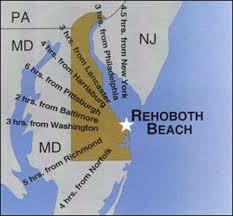 Rehoboth Real Estate In Town is known for its pristine beaches and the Famous Rehoboth boardwalk. Retirees have flocked to the area and its one of the nations top destination Resort Towns on the east coast.The Tanger outlets provide tax free shopping for all the tourists on a year round basis. Rehoboth is a short driving distance to major metropolitan areas. The proximity to this beach resort makes it a perfect second home destination. Retirees take advantage of the low property taxes compared to the neighboring states. New Jersey, Virginia, Pennsylvania and New York all have higher real estate taxes. The State of Delaware Taxes the buyer and the seller each .75% of the sale price at closing.